So you want to know more about MSD – how it’s funded, how it spends your money and what work is being accomplished. OpenMSD will do just that! It is your source of all things about MSD, its revenues, expenditures, contracts and boards. It will be updated throughout the year, weekly when it comes to the salaries paid to MSD employees and even daily as MSD pays its bills. Information is being provided in easily downloadable Adobe ® pdf files or as viewable online reports which can be printed or downloaded. Links to the various sections of OpenMSD are provided below to make all of this information available to our rate payers. Mouse over an icon to see a brief description of the information available using that link. 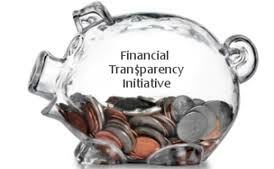 Unless otherwise indicated, all financial information presented in the OpenMSD web site is unaudited.